An international event dedicated to Ocarina takes place every two years in Budrio, birthplace of this popular wind instrument and meeting point for ocarina enthusiasts, musicians and makers from all over the world. The event is dedicated to the atmosphere and sound created by the ocarina. The festival, organized by the municipality of Budrio, will be home to a series of concerts, animated street music, exhibitions, markets, folk dancing and much more. The ocarina is a popular musical wind-instrument in terracotta, made in various dimensions capable of playing concertos in various tonalities. It is precisely a fipple flute, that's to say it has a duct that directs the air onto the edge producing a distinct sound. 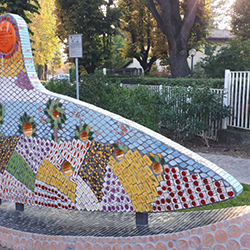 The instrument resembles to a little beheaded goose, that's the reason for the name "ocarina", derived from the Bolognese dialect word "ucareina". Most of the concerts will take place at the Torri dell'Acqua building and at the St. Agata church. Not to be missed are the opening concert (Thursday April 25), featuring a taiwanese band that will perform a sort of musical inspired by the local ocarina tradition, the Friday night concerts at the beautiful Accademia dei Notturni Villa (in Bagnarola di Budrio) and the Saturday night concert at the San Lorenzo church. Special guest of the festival will be Nancy Rumbel, american etno/jazz musician. The Festival programme also includes workshops, an ocarina and whistle craft market in via Marconi and guided tour to the "Museum of the ocarina and terracotta musical instruments" of Budrio, with hundreds of ocarinas, musical instruments, worktools, photographs, discs, scores and documents about local ocarina bands on display. Concerts and workshops programme is attached below.